It’s no secret that I love being in Spain and all things Spanish. I always say (half-joking) that I think I should have been Spanish. Last weekend I was in Barcelona for a hen do and I just felt so at home. I was translating for everyone and doing all of the ordering in the restaurants and I loved it! The reason that I love Spanish food so much is because it really suits my personality: it’s so easy and so social. I love sharing food with a group of people – and we actually managed it pretty well last weekend for a group of 11 girls with differing tastes. There is always something for everyone – even the vegan was happy! 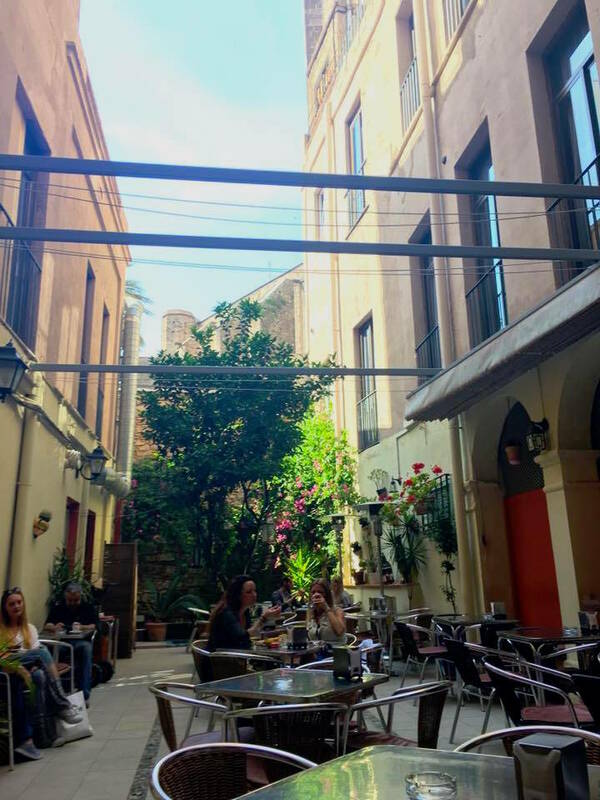 The pic above is from a cute little cafe terrace we found in the old town. 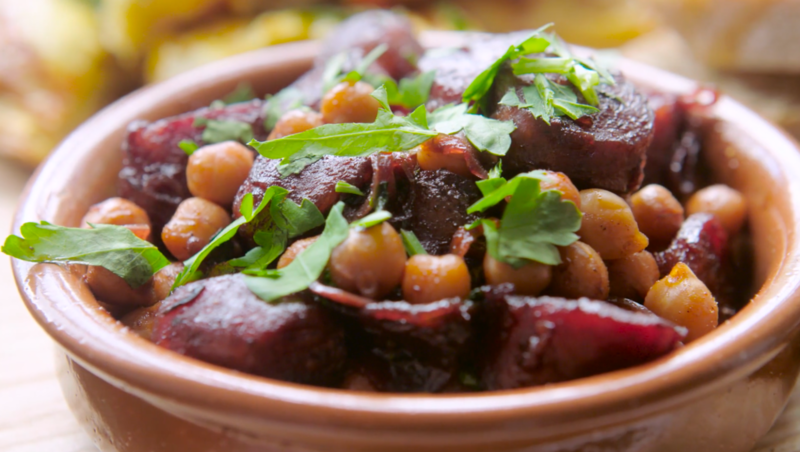 My favourite tapas dish to order is almost always chorizo al vino (chorizo sausage cooked in red wine) and so this recipe from the video really caught my eye. You’d think I’d be all tapas’d out this week, but nope! I think I’ll have to give this one a this weekend. If you guys give it a go, please do let me know on Twitter or in the comments below! Heat a large frying pan over a medium high heat and add the oil. Fry the shallot for 2-3 minutes until softened and then add in the garlic, cooking for a further 2 minutes. Add in the chorizo and fry until sizzling. Pour over the red wine, honey and in the paprika and allow to cook down for 10 minutes or until the wine has reduced down to a thick sauce. By the way, I’m still compiling a post on 5 Places to Eat in Barcelona to follow on from my Prague piece from earlier this month. (Got any recommendations for me? Let me know below!) However, in the meantime you can read this guide to Barcelona’s Top 5 Tapas Bars on The Times’ Insider City Guides. Read the full guide to Barcelona here. What are your favourite tapas recipes? *This post is inspired by The Times Insider City Guides.